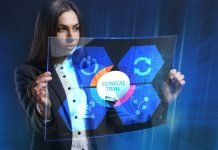 Daiichi Sankyo and AnHeart Therapeutics, a clinical-stage biopharmaceutical company focused on the acquisition, development, and commercialization of innovative medicines, have entered into a worldwide exclusive license agreement to out-license DS-6051, an investigational selective ROS1/NTRK inhibitor, currently in Phase I development for the treatment of patients harboring either a ROS1 or NTRK fusion gene and neuroendocrine tumors. The trials are being conducted in the United States and Japan. Preliminary safety and efficacy data of DS-6051 from the first part of the U.S.-based phase I/Ib study were presented at the 2018 American Society of Clinical Oncology (ASCO) Annual Meeting. Under the terms of the agreement, Daiichi Sankyo grants AnHeart Therapeutics worldwide exclusive rights for the development, manufacturing and commercialization of DS-6051. 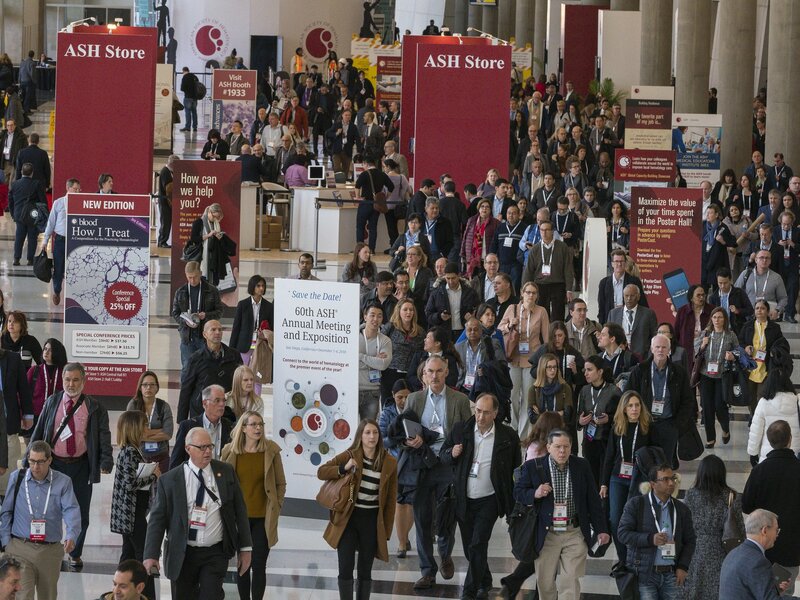 While Daiichi Sankyo and AnHeart Therapeutics will collaborate to continue two ongoing phase 1 studies, AnHeart Therapeutics will be responsible for further development of DS-6051 worldwide. Daiichi Sankyo will receive an upfront payment and is eligible for clinical, regulatory and sales milestone payments, as well as royalties on worldwide net sales of DS-6051. Financial terms of the agreement are not disclosed. 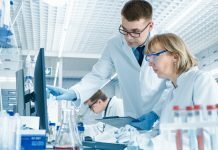 “We continue to look for innovative ways to maximize the potential of promising compounds in our oncology pipeline in order to deliver on our mission of transforming science into value for patients with cancer,” said Antoine Yver, MD, MSc, Executive Vice President and Global Head, Oncology Research and Development, Daiichi Sankyo. “We are confident that AnHeart Theraeputics will use the resources necessary to deliver a fast-to-market strategy to potentially bring this novel ROS1/NTRK inhibitor to patients as quickly as possible,” Yver added. “DS-6051 is currently being studied in two phase I studies for cancers bearing ROS1 or NTRK fusion mutations, and is a leading asset in our pipeline,” commented Junyuan Wang, PhD, Chief Executive Officer, AnHeart Therapeutics. “It is our priority to move DS-6051 through the global regulatory pathways with a fast-to-market approach. We will communicate with regulatory agencies to initiate multiple global phase 2 trials of DS-6051 immediately after the transfer of clinical development responsibilities is completed,” Wang concluded. Papadopoulous KP, et al. J Clin Oncol 36, 2018 (suppl; abstr 2514). 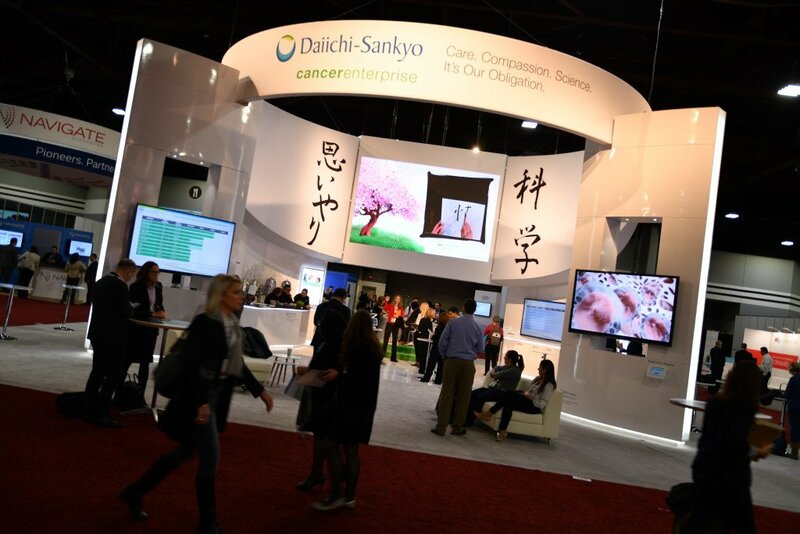 Featured Image: Daiichi Sankyo Exhibition booth. Courtesy: © 2010 – 2018 Sunvalley Communication / Evan Wendt. Used with permission.